I had the pleasure of speaking to the beauty behind the brand - Dose of Dian this time last year. If you follow her on her various social media platforms (if you don't all links will be linked down below - how Youtube-esque! ), you will know that her growth has been amazing to watch. With her very first event coming up, I deemed it timely to catch up with Dian and hear more about what she has been up to! JF: Since we spoke last year, what have you been working on with Dose of Dian? DD: The past year has gone so quickly! I have literally been up and down in finding myself and establishing my brand. I focused a lot on social media marketing and building a real presence online for Dose of Dian. For example, with the Dose of Dian Twitter account, I have been focusing on sharing inspirational fashion/style quotes and looks, as well as polls and discussions on recent trends/fashion house releases to encourage women to discuss their opinions on fashion as well as broaden their horizon to experiment more with their looks. Dose of Dian aims to be a great community where women who love to talk about style can share tips and ideas! JF: What has been the most exciting thing you have worked on in the last year? DD: Interning for the Migos honestly has to be number 1. JF: Raindrop, drop top Migos? DD: (laughs) Yes, the Migos! I remember around the time that I secured the opportunity, I was really struggling with self-doubt, questioned where my brand would go in future and whether I could even take it there. I felt like I was at a dead end. I was approached by a lovely young lady (via Twitter DM – the power of social media!) who said she knew someone that was looking for interns to assist in styling the Migos for their London show. Listen, I remember telling my friends I couldn’t go to the show yet here I was being approached to work with the artists themselves! I worked as an intern with the Migos for 2 days and whilst I was there I learnt a lot about styling, the process of pulling items, networking and working under tight time constraints. I found myself attending PR offices on behalf of the group. I was definitely thrown into the deep end but it was a fantastic opportunity, built up my knowledge, character and further ascertained my passion for styling. Since then, I have pushed myself to go higher and genuinely believe that anything is possible. On the point of networking, I remember being in a room with a stylist that had worked with Drake. She gave me an insight into how she worked on looks featured in the Migos featuring Drake, Walk it Like I Talk It video. I was so inspired and genuinely believe that one day, that will be my reality! JF: I am so glad you didn't give up because you have come so far. Now, tell me a bit about DODTHEEVENT! DD: I have always wanted to create an event or space where ladies who were interested in fashion/style or simply loved to look good for no reason, could come and socialise with one another. It was something I had on my vision list for Dose of Dian someday but I genuinely didn’t think I would be doing it this year! It happened so quickly! I tweeted something along the lines of ‘ I want to have an event where women can wear heels and drink cocktails’, and after a week or so, I reached out to a graphic designer that I use a lot to draft me a poster of what I wanted the event to be envisioned like. I looked for inspiration on Pinterest (I absolutely love roses!) and told the graphic designer what I was aiming to go for. Whilst she was working away with the poster, I began organizing viewings for the event looking for somewhere that would be suitable for my vision. Going alone wasn’t easy but I was determined and driven to bring this event into fruition. This event aims to have a classy vibe where women dressed in the simple but classic, effective dress code to mingle, socialize as well as view live demonstrations from beauty brands/owners, exhibitions of items I believe every woman should consider investing in, and hear from a fantastic style panel of four women of different backgrounds with vested experience in fashion influence! JF: Events definitely aren’t easy to plan. What has been the most challenging part of the process? DD: Honestly, staying on top of things. It requires time and effort to be put in everyday, emails to be sent on a daily basis and ensure that promotion and marketing for the event is on point. As it is my first event, reaching out to brands and influencers to be a part of the event was challenging but I believed in myself and did not give up from the no’s that I received. One thing I would advise others that are interested in business and event planning is to hire people that may have more experience than you do in a particular area. The PR Manager for Dose of Dian really helped to effectively articulate what Dose of Dian is and ensure our approach to brands and influencers was professional and allowed us to build the necessary relationships for the future. JF: Congratulations on selling out your first release of tickets - it was so amazing to see! What are you looking forward to the most on the day? DD: Thank you so much. I can’t believe we did it in under 24 hours. I am still amazed. I am looking forward to seeing all the people that have supported me online celebrate and enjoy my first event! Seeing 200+ women in the lovely dress code, embracing fashion and style. This is just the beginning. JF: For those who haven’t bought their tickets yet, give them one good reason to get one. DD: I think our influencer panel is a really good reason as to why you should get a ticket and attend the event. Not only are these women influential in the fashion space, but they all started from somewhere and gaining an insight into the journeys of each woman will hopefully provide us all with some transferrable tips that will assist us in progressing in our respective fields! I know a lot of women have been inspired by at least one of the influencers on the panel, from the way they dress or to the way they have conducted their business. I don’t want to give too much away but honestly, this is not an event you want to miss! 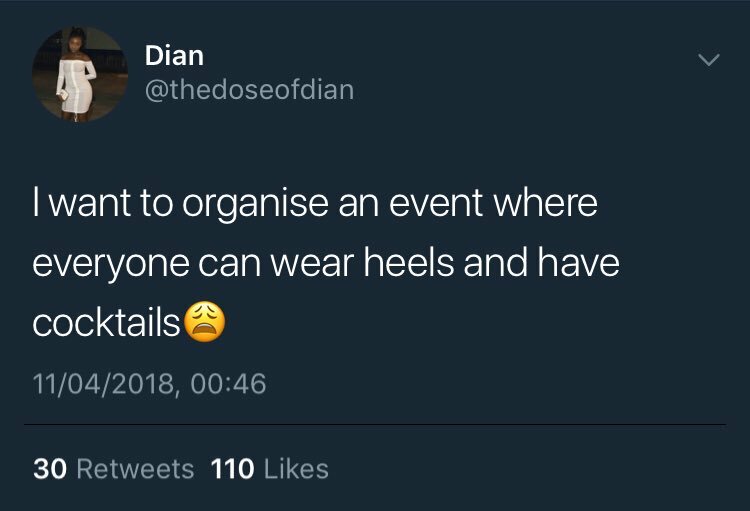 Whilst there is still time, grab your outfit as per the Dose of Dian dress code, grab a cocktail on the day and enjoy what we have in store for you. I promise, you will not be disappointed! I am super proud of Dian for persevering despite going through a season of unbelief. 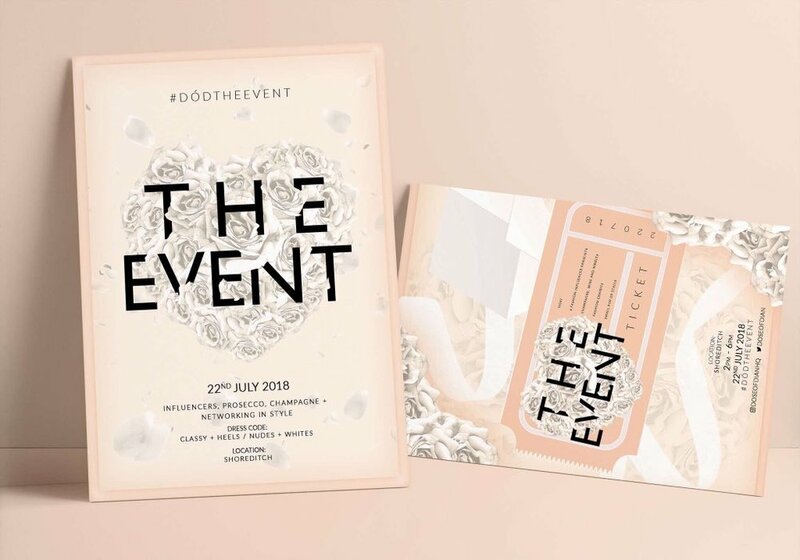 #DODTHEEVENT is due to be an absolute shutdown and I expect all of you reading (only ladies this time, sorry lads!) to attend, look beautiful, enjoy the weather, a cool cocktail and catch a vibe with other like-minded beautiful women. Don't forget to take pictures of your outfits and tag DODTHEEVENT on Twitter and Instagram! As aforementioned, follow Dian on all social media platforms - definitely one to watch - remember I told you first!